Before parting ways for the long weekend, the Prep community gathered for the annual interfaith Thanksgiving prayer service. Students presented reflections on the meaning of gratitude in several of the faith traditions represented at Prep, Fr. 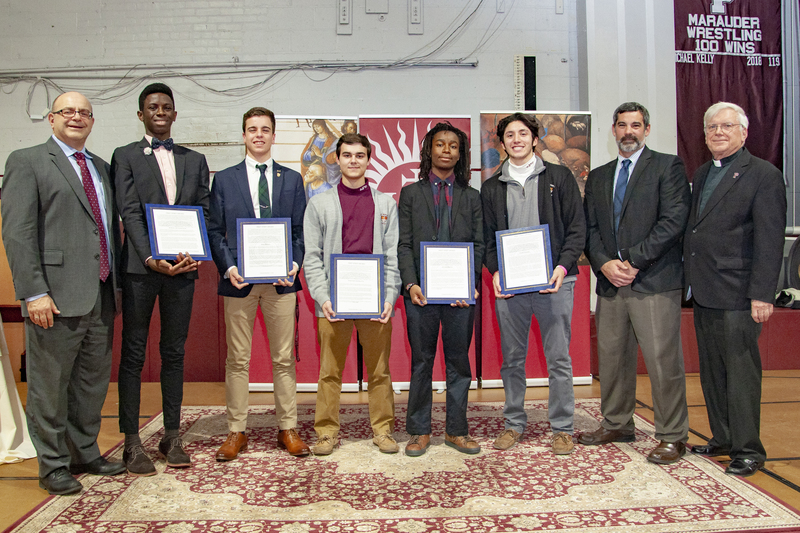 Mullin blessed a selection of the food collected during Prep’s Great Ignatian Challenge Food Drive, and the first round of Spirit Awards for the year were presented to five seniors. The Spirit award recipients are pictured above. 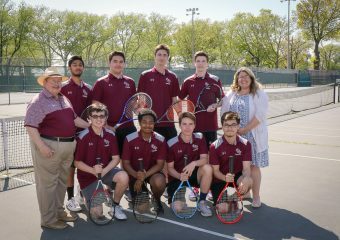 Congratulations to (left to right) Adrian Richardson, Max Honig, Timothy Georgetti, Jaiden David, and Tyler Najara. View photos from the prayer service here, or watch the archived live video below! The Prep Spirit Awards were created in 1981 by then-principal Fr. John Browning, S.J., ’46. 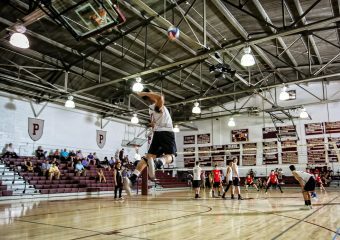 The award celebrates young men who model for our entire community the qualities and values that define a Prep student—the characteristics outlined in our mission statement and the Grad at Grad which speak about Prep’s desire to form men who are open to growth, intellectually competent, religious, loving, and committed to doing justice. As Spirit Award recipients are often recognized for their generosity within the school community, it is only fitting to present these awards following our Thanksgiving service. Previous: Previous post: A 50% Increase in Food Drive Donations! Next: Next post: Another #MaroonTuesday, Another Record!